Gann Academy serves students across a wide socioeconomic spectrum and is committed to making a Jewish high school education accessible to all admitted students, regardless of financial need. We are fortunate that generous philanthropic support makes it possible for us to offer tuition assistance in many different forms. Gann Academy’s tuition is indexed to family income. For the 2019-2020 year, tuition will range from $10,000 to $47,580, based on family income, assets, number of students in tuition-paying schools, and other circumstances. Around half of Gann families participate in one of our affordability programs. These programs (see list below) are designed to ensure that we are able to serve the greatest possible number of mission-appropriate students. Many families are surprised to realize that they qualify. Families are welcome to apply for multiple programs, and Gann will assess the tuition that is best for each family. This need-based program provides tuition subsidies based on detailed income and asset information provided by families. A committee evaluates all applications submitted through SSS (School and Student Services) to determine a family’s tuition assessment. Gann guarantees that all families who qualify for traditional need-based financial aid will receive a minimum award of $5,000. Visit the Traditional Financial Aid page to learn more about the program and download the application. Within Reach offers predictable tuition for four years, scaled to family income, for families who might not qualify for traditional need-based programs. This program is offered to families with adjusted gross incomes between $175,000 and $500,000 and net assets under $500,000 (excluding primary residence and retirement accounts). 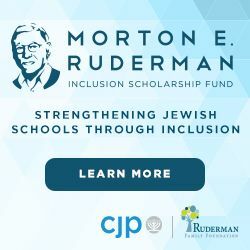 It recognizes the commitment families make to Jewish day school and college education, adjusting tuition assessments according to the number of students in qualifying schools. Visit the Within Reach page to learn more about the program, view your family's personal tuition scale, and download the Within Reach application. The Pioneer Program is for students who are joining us from public schools. The program offers an annual 20% tuition discount to a limited number of students who enroll at Gann for the ninth grade from public middle schools. Any Gann applicant to the ninth grade who attended public school since at least sixth grade and who does not have a sibling who has attended Gann may apply for the program. For 2019-2020, students in the Pioneer Program will pay tuition of $38,064. The Gann community is enriched by the active engagement of our communal leaders and their families, therefore the Professional Partner Program is for students with the primary-income parent who is a full-time Jewish communal professional. Recipients receive a tuition discount of $10,000 per child per year. This program is available to both ninth grade and transfer applicants. For 2019-2020, students in the Professional Partner Program pay tuition of $37,580. Any member of the admissions team can help answer questions about affordability, or you can speak with Amy Chandler-Nelson, Business Operations Manager, at 781.642.6800, ext. 113 for more information. Q: Who can apply for financial aid to Gann Academy? Any student enrolled in, or applying for admission to, Gann Academy may apply for financial aid. Q: Does applying for financial aid affect admission to Gann Academy? No. Admission to Gann Academy is need-blind. A family's financial circumstances have no effect on admission. Q: My Federal tax return will not be complete prior to the deadline. Can I still apply for financial aid? Your full financial aid application, including your tax return, is required for Gann to assess your application. Late applications will be accepted, with awards determined two to four weeks after the completed application along with tax forms are received. If applications and awards are not completed prior to contract dates, contracts will be issued at the full tuition amount, with the potential for adjustment later. Q: Is there a maximum income level that will disqualify me from receiving financial assistance? No. There is no clear-cut income limit. The financial aid process examines many variables, including income, in order to determine eligibility. Q: What about financial aid if I am separated or divorced? Custodial and non-custodial parents both must apply for financial aid. Applications may be entirely separate or be completed jointly. This information is collected to determine the ability, not the willingness, of all parties to financially support the education of their children. The school considers the financial resources of all living parents, step-parents, and domestic partners, and requires the cooperation of all parties before financial aid awards are determined. No financial information will be viewable to another parent online, nor will the school share any financial information submitted by another parent. The school is not bound by any disclaimers of financial responsibility or legal arrangements that may bind either parent. Gann Academy does not act as an intermediary between parents and asks that all parties involved communicate directly with each other regarding the education of their children. Q: My child is transferring in from another high school. Is my child eligible to participate in either Within Reach or the Pioneer Program? If your student is transferring to Gann in her/his sophomore year, you may apply for the Within Reach program. We do not offer the Pioneer Program to students transferring in from other high schools. Transfer students may also apply for assisance through the traditional financial aid process. Q: What if my application is submitted or completed after the February deadline? Financial aid award decisions are made shortly after the February deadline, and funds in the financial aid pool do diminish. It is in your family's best interest to have your full application submitted by the deadline. If there are extenuating circumstances and your application will not be ready on time, please contact Amy Chandler-Nelson, Business Operations Manager. Applications for Affordability and Tuition Assistance applications are due February 15. Late applications will be considered as funds are available. Financial aid decision letters will accompany Gann Academy acceptance letters. Gann’s tuition includes the all-school retreat, athletic uniforms, and Shabbatonim. For students traveling to Israel, there is an additional assessment which is highly subsidized and linked to family income. Tuition may be paid annually, semi-annually, or in ten monthly payments. Gann's affordability programs are made possible in part by a generous grant from the Morton E. Ruderman Inclusion Scholarship Fund.